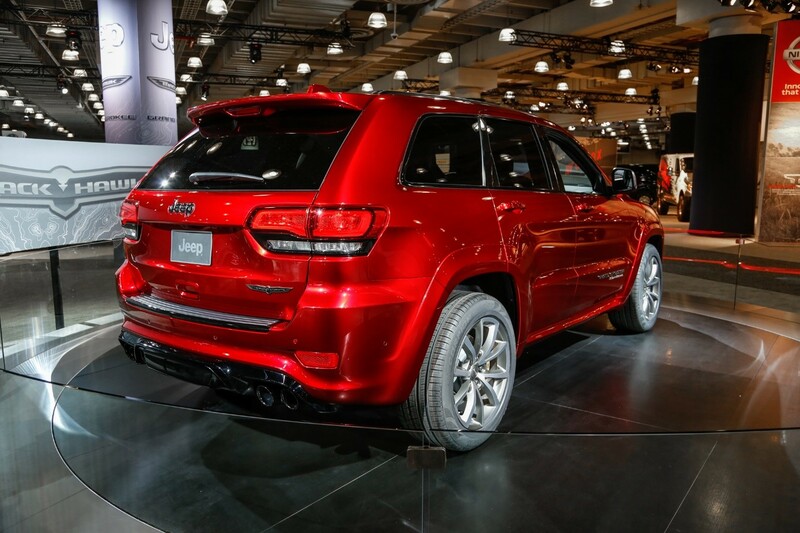 The long-awaited Jeep Grand Cherokee Trackhawk has finally arrived. The all-wheel drive comes with 707 horsepower and 645 lb-ft of torque. Instead of all the rumours that did the rounds before the vehicles arrival– such as Jeep limiting torque off the line – the Trackhawk got 2 charge-air coolers and a Launch Control system that ensures the supercharger is fully spooled and building boost at launch. Jeep claims the Trackhawk makes a maximum of 11.6 psi of boost, with intake air temperatures held below 140 degrees, no matter how harsh the conditions. The new Jeep wears 295 section tires and has optional forged wheels, which Jeep claims gets rid of 12 pounds of unsprung weight. The brakes are 15.75 inch Brembos up front, and 13.73 inches out back. Jeep kept the Cherokee all-wheel drive, strengthened the eight-speed transmission, half shafts and drive shaft, and then dropped the torque to 645 lb-ft due to exhaust routing – not a drop at all really, as when you think about it, regular Hellcats make 650 lb-ft. These numbers are largely similar to its Charger and Challenger Hellcat siblings, with the exception that this is an all-wheel drive SUV weighing 1,000 pounds more. The default for the all-wheel drive system is a 40/60 front/rear split, adjusting to 35/65 in Sport mode, 30/70 in Track, 60/40 in Tow, and 50/50 in Snow mode. Jeep says the Trackhawk can tow 7,200 pounds, pull 0.88g around a skidpad, and stop from 60 in 114 feet. However, visual differences besides the huge brakes and forged wheels are minimal. Gone are the foglights, replaced by air intakes, and there are a few "supercharged" and "Trackhawk" badges on the outside. Lastly, there are quad exhaust pipes. And that’s about it. 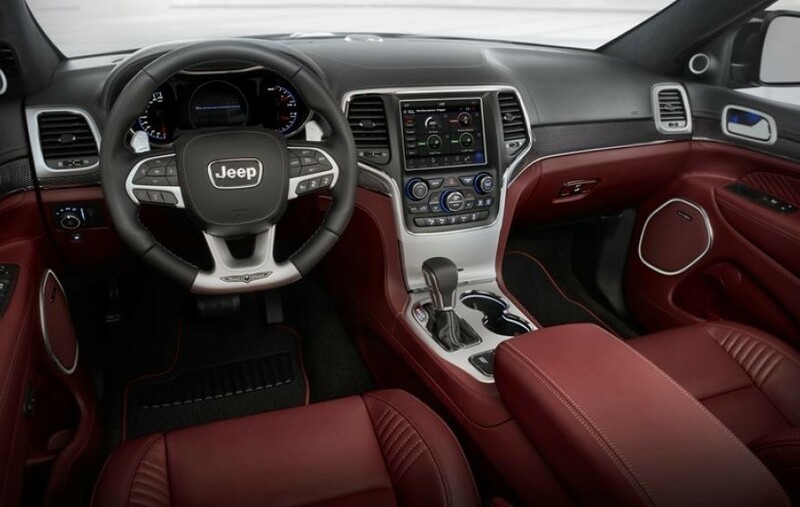 The inside is very similar to an SRT Grand Cherokee, except with a 200 mph speedometer and a few Trackhawk badges. Yet, at the end of the day, it’s not really the look that matters – but what your vehicle is capable of – and boy does the Trackhawk deliver!